Throw away your watch and unwind at Woodhaven Campground. Located in a natural forest setting, with direct access to the crystal clear waters of White Lake. 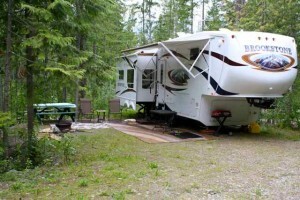 Woodhaven Campground has everything needed for a true camping experience. With well spaced, shaded sites, Woodhaven Campground offers the peace and beauty of nature and the amenities to enjoy your stay. Camp with us for a day, a weekend, a week, a month, or the entire summer! White Lake is settled between two arms of the Shuswap Lake, BC. Woodhaven Campground offers the peace and beauty of nature and the amenities to enjoy your stay. Open from May through September.